Try not to get teary-eyed when you see the reaction of Lauren’s parents as they see her for the first time in her gown. Lauren and Omar shared a delightful reception at Hotel du Pont. 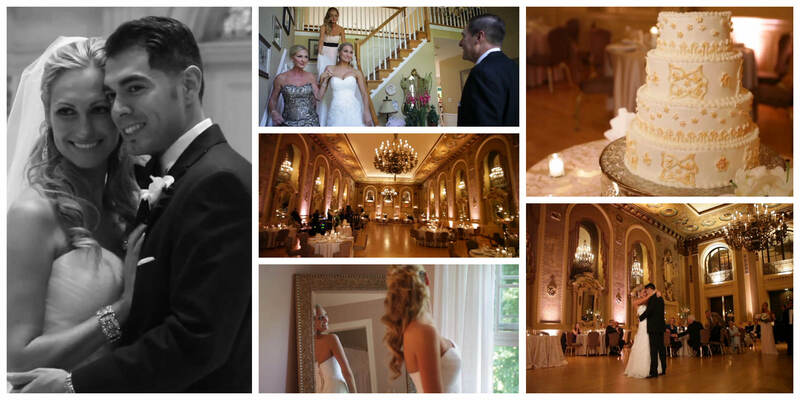 The Gold Ballroom was a perfect setting for this wonderful wedding. It was a pleasure working alongside Baiada Photography to document this special day. EBE – Imagine kept the dance floor packed as the evening unfolded. Lauren and Omar, we extend a huge congratulations to both of you! Thanks for allowing Allure Films to be a part of your big day. Caitlin and Aaron shared a gorgeous wedding ceremony and reception at Hotel du Pont. We were happy to be there as each moment unfolded. We always treasure the moments before the ceremony. It was great capturing all of the fun moments with the wedding party as they shared memories that will last a lifetime. It was a pleasure working alongside our friends at Philip Gabriel Photography and BVT Live! – Jellyroll. This was our favorite quote of the night: “Love each other fiercely. Live fearlessly, joyously, and optimistically. And when you face moments, when you feel you can do no more; keep going. For there are no limits, but what you set for yourselves. There is nothing you can not do.” Congratulations to Caitlin and Aaron, and thanks for including Allure Films in your big day! 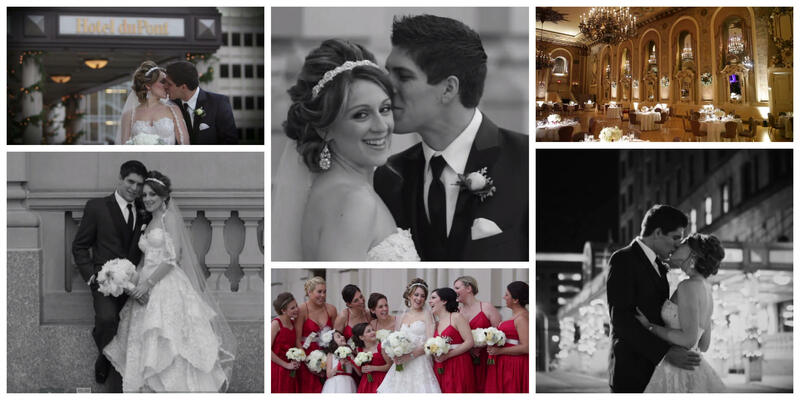 Join Allure Films for this exclusive preview of Kay and Brandon’s big day. Family and friends gathered at Saint Joseph on the Brandywine for a beautiful ceremony. After exchanging vows, Kay and Brandon celebrated with a dazzling evening at Hotel du Pont. The talented wedding professionals at Hotel du Pont are truly amazing at what they do! It’s incredible how much effort goes into the “behind the scenes” moments of preparing for a wedding. It is clear from the sweet words of family and friends that Kay and Brandon make a perfect duo! Kudos to Linda Simunov, of Affair Events, for all the hard work that went into the planning process. Amy DePuty Photography and The Heartbeats Band were also a wonderful addition to Kay and Brandon’s wedding celebration. Congratulations newlyweds! Come along with Laura and Bryan as they exchange vows at Brantwyn Estate. The natural beauty topped off with the stunning floral decor by Celebrations Design Group provided for a breathtaking backdrop. An eventful evening of laughter, dancing, and delicious food followed at Hotel du Pont. Laura and Bryan shared many unforgettable moments with their family and friends. The wedding party shared beautiful and important words for our newlyweds. Allure Films by Video One Productions would like to extend a big thank you to Laura, Bryan, and their families for allowing us to join their wedding celebration. Congratulations!